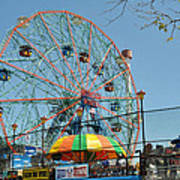 There are no comments for Coney Island Wonder Wheel. Click here to post the first comment. 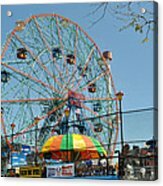 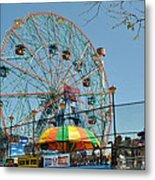 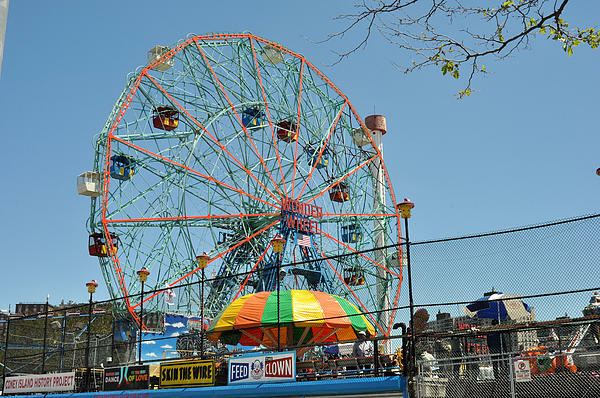 The Iconic 93 year old Wonder Wheel of Coney Island with an orange, yellow and green canopy in the foreground and a clear blue sky in the background.